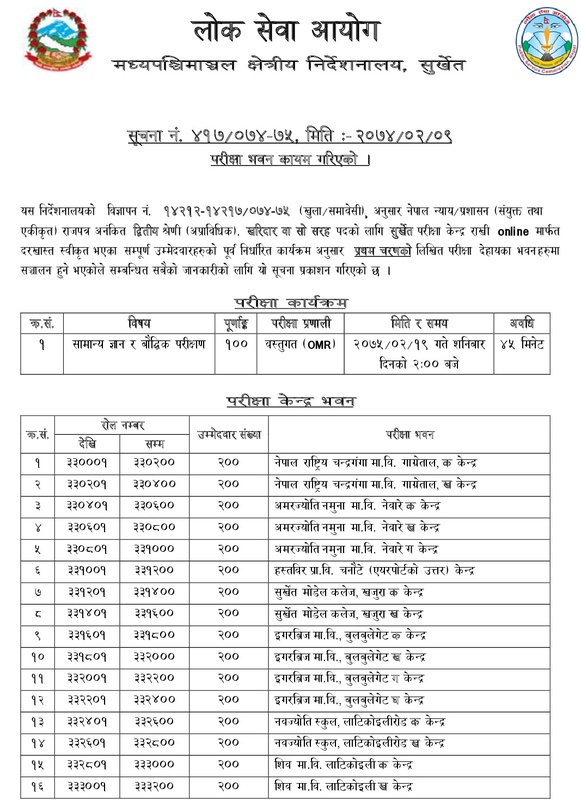 On Wednesday May 23, 2018 [9 Jestha, 2075], Pubic Service Commission (PSC) [Lok Sewa Aayog], published noice for the 1st Phase Written Examination Centers of SURKHET [Candidates who filled the form online stating SURKHET Center] for Non-gazetted Second class-Non-Technical, Kharidar or equivalent. 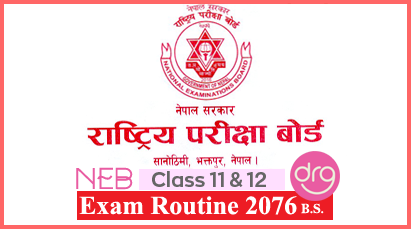 The Examination will be held on June 2, 2018 [19 Jestha, 2075]. The Exam will start from 2:00 pm on day time and exam period will be 45 minutes only. २०७५/०२/९ - लोक सेवा आयोग, मध्यपश्चिमाञ्चल क्षेत्रीय निर्देशनालय सुर्खेतको बिज्ञापन नं १४२१२-१४२१७/०७४-७५ (खुला तथा समावेशी), एकीकृत तथा संयुक्त, रा.प.अनं. द्वितीय श्रेणी अप्राविधिक), खरिदार वा सो सरह पदको प्रथम चरणको परीक्षाको परीक्षा केन्द्र कायम गरिएको सूचना! 0 Response to "Exam Center Of KHARIDAR | FIRST PAPER | Written Exam 2075 | SURKHET | Lok Sewa Aayog [PSC]"